Anderson Cooper anchored AC360 in the 8pm and 9pmET hours. 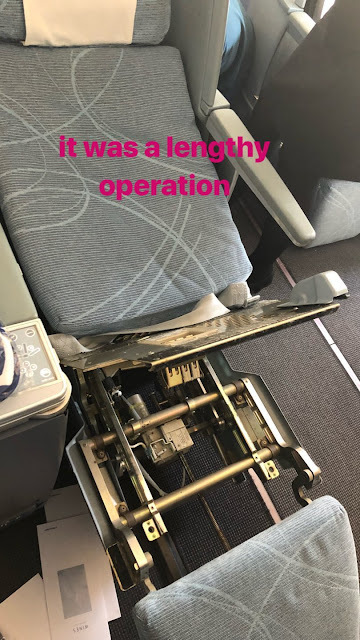 Chris Cuomo had the night off. 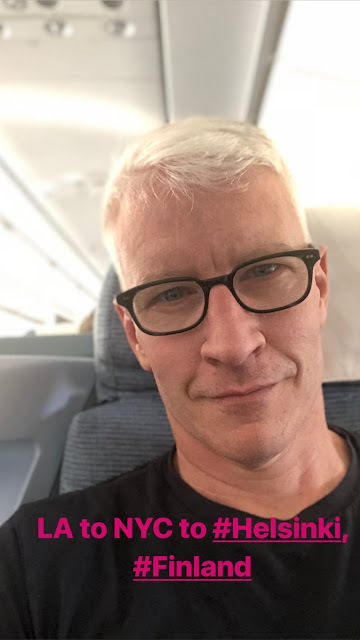 Anderson Cooper anchored AC360 in the 8pmET hour fron the NYC studio. 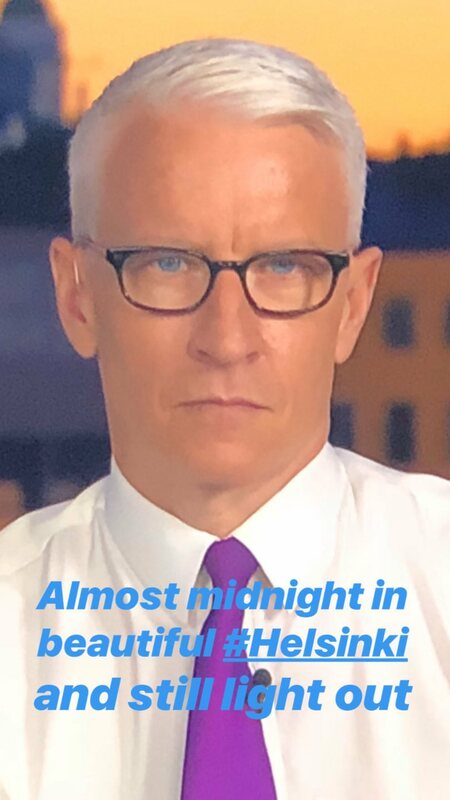 Anderson Cooper anchored AC360 in the 8pmET hour from the NYC studio. As the last segment of the program he interviewed Tia Coleman, who survived the Duck Boat accident, but lost 9 family members. Anderson Cooper anchored AC360 in the 8pmET hour from the CNN studio. The Anderson Cooper Full Circle Facebook account posted the following video today of Stephen Colbert addressing Anderson running into the studio late for Wednesday's Full Circle. Note: Taking a poll. Would you like to see us add video of Full Circle to the blog each night or is everyone able to watch it on Facebook? Anderson Cooper began his broadcast day at 9amET and was on the air until 1pmET covering the summit and press conference for CNN Newsroom. Anderson was back to anchor the 2pmET hour of CNN Newsroom. And then back to anchor AC360 in the 8pmET hour, 3am Helsinki time. Anderson closed the program talking about his comments following today's press conference and reminding viewers about his new Facebook news program Full Circle which premiered today. Anderson Cooper co-anchored CNN Newsroom in the 2pm, 3pm and 4pmET hours from Helsinki, Finland ahead of the Putin-Trump summit. Anderson Cooper anchored AC360 in the 8pmET hour from a studio in Idaho.